SigArms Kilo Series LRFs and Binos!! 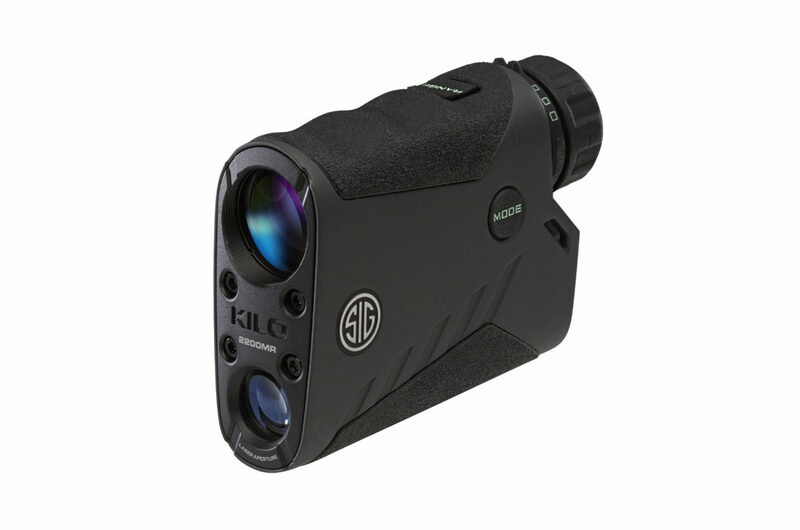 Home > Rangefinders > SigArms Kilo Series LRFs and Binos!! All new premium LRF from Sig. SigArms Kilo2200BDX 7x25 LRF In stock!! Liberty Optics is "all in" on this product as the best LRF under $500 ever made, and maybe the best under $1000. 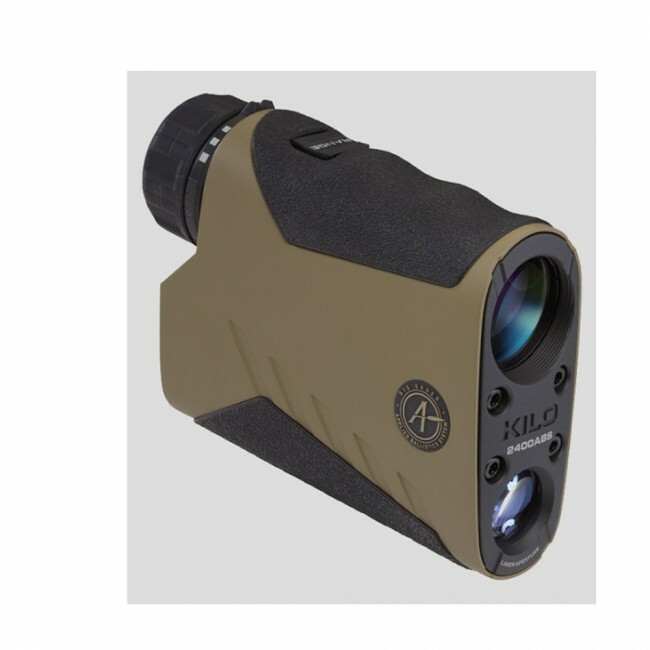 The KILO2200MR is the latest generation 7 x 25mm laser rangefinding monocular with more range performance, tighter laser beam collimation and an upgraded milling reticle with smaller aiming circle for more precise ranging performance at extreme distances. All KILO’s feature the Lightwave DSP ranging engine with HyperScan with 4x per second range updates in scan mode. Ranges up to 2 miles with the Revolutionary LightWave DSP Technology for the fastest and longest distance rangefinder engine. 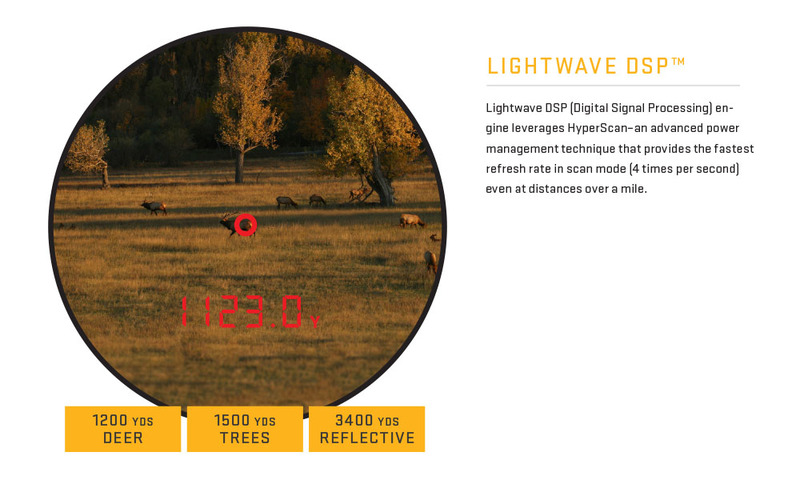 Revolutionary LightWave DSP Technology for the fastest and longest distance rangefinder engine. HyperScan Technology provides 4 range updates per second in scan mode while RangeLock reports the last range result when ranging distant targets. Advanced OLED display provides a smaller, more accurate center aiming circle along with milling features. Line of Sight or Angle Modified range in addition to full ballistic holdover results in MIL or MOA. Lumatic Display automatically calibrates display brightness to changing ambient light conditions. Compact, magnesium housing with binocular style eyecup and diopter adjustment. Sleek design for one handed operation and lanyard attachment point. Covered by SIG SAUER’s INFINITE Guarantee and Electronics Limited Warranty. Extreme accuracy is what SIG was after when they engineered the KILO2000. Updating at 4X per second in HyperScan mode, the KILO2000 rangefinder with patented LightWave DSP technology is amazingly fast as well. 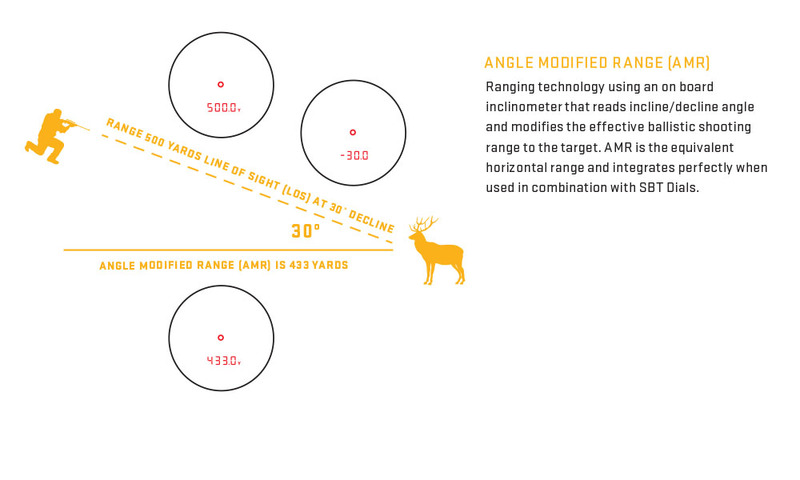 Couple that with the ability to range reflective targets at 3400 yards, trees at 1500 yards, and deer at 1200 yards for simple, intuitive long distance ranging. The built in inclinometer calculates AMR Angle Modified Range for angled shots. Our proprietary Lumatic OLED Display, automatically adjusts display intensity to match ambient light conditions, bright in bright conditions and dim in twilight to protect your eye. The KILO2000’s simplified user interface displays your system status and while ranging, only provides your necessary data.